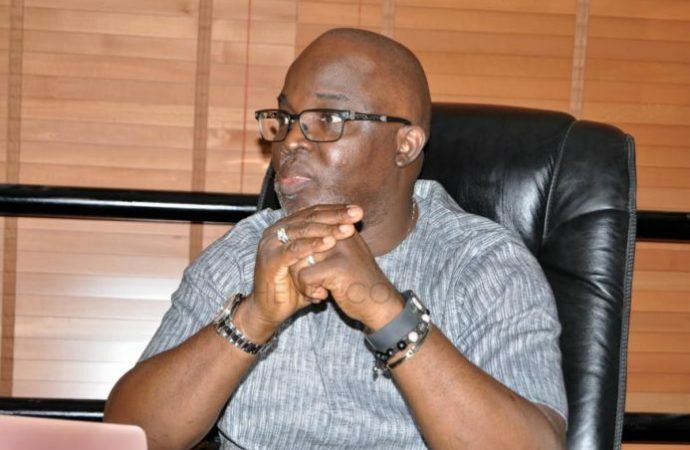 The Federal Government of Nigeria has ordered the current board of the Nigeria Football Federation, NFF, to vacate their office in respect to a ruling by the apex court in Nigeria, the Supreme Court. This was contained in a statement from the office of the Minister for Youths and Spo‎rts, Solomon Dalung, which also asked Chris Giwa who was voted as President of the NFF in a congress that wasn’t recognized by FIFA to take over the running of football in Nigeria. The development if not properly handled will likely make FIFA to ban Nigeria from International football as the World soccer governing body frowns at interference from civil courts in football matters. Dalung said in a statement that the directive followed a written notification signed for the Attorney-General of the Federation and Minister of Justice requesting the Federal Ministry of Youth and Sports to ensure compliance. The statement said, “I have been directed to notify you of the Orders dated June 5th 2018 made by Honorable Justice M. H. Kurya sitting at the Federal High Court Jos in respect of the above mentioned suit between Yahaya Adama Vs Alhaji Aminu Maigari which states that the election of the NFF held on August 26, 2014 under the leadership of Amb Chris Giwa be given recognition pending the hearing and determination of the motion on notice filed in this case and that the purported ban of the Executive Committee elected on August 26, 2014 from football activities of the NFF is unconstitutional, null and void. “It is trite law that court orders are sacrosanct and any acts of disobedience to it constitutes threat to the rule of law. Consequent upon the above, you are hereby advised to comply with the orders of court made therein which for now, is the valid and binding order of court, in the absence of any other subsisting order or judgment to the contrary’. “Consequently, Barrister Dalung has however directed the parties involved to comply with the court order. “This is a court order and not from Dalung. I will not want to go to Kuje prison because of disobedience of court orders. Therefore, I hereby comply with the court orders of June 5th 2018, while Amaju Pinnick and others are also directed to comply with same.